The idyllic barn wedding venue, Curradine Barns is set within the gorgeous Worcestershire countryside. 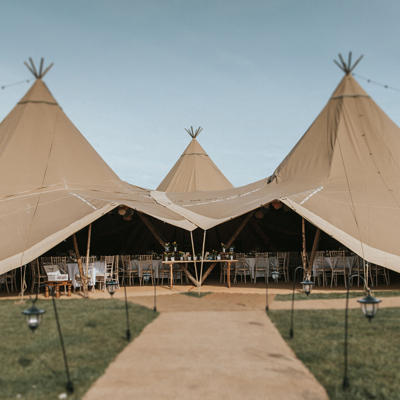 It offers atmospheric and beautiful barns, an awe-inspiring courtyard and gardens and a cosy lounge and bar area for you to use throughout your wedding celebrations. Finding Curradine Barns is easy. It’s approximately four miles from Ombersley, which is on the A449 midway between Kidderminster and Worcester. On the day of your wedding you’ll have full exclusivity of Curradine Barns from midday right through until midnight. The Bridal Dressing Room is yours to use from 10am and provides you and your bridesmaids with a stylish, plush space in which to get ready in. You’ll be able to choose either an outdoor or indoor ceremony at Curradine Barns. If it’s a barn wedding you’re after, get wed in the majestic Granary Barn, with its rustic oak beams, exposed brickwork, stunning central chandelier and glimmering fairy lights. For lush views of the surrounding countryside and Farmhouse garden tie the knot outdoors, under the Garden Gazebo, as all your wedding guests look on. Curradine Barns is renowned for its awe-inspiring atmosphere and incredible party-like feel across the barns, lounge and bar area and courtyard. You’ll enjoy a superb drinks reception in the charming courtyard before exploring the tranquil, pretty gardens and taking advantage of the wonderful photo opportunities and scenic views. Your wedding breakfast will take place in the elegant and welcoming Barley Barn, where you’ll enjoy a sophisticated celebration with up 150 friends and family whilst enjoying the finest of culinary delights. 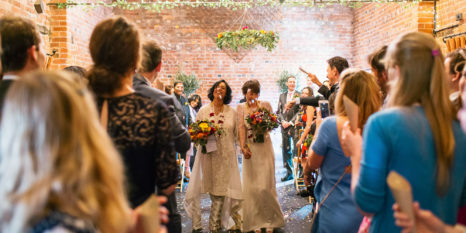 Into the night your celebrations will continue, as the stylish Granary Barn becomes your dance floor, and the outdoor courtyard your stunning social hub. To make your evening reception extra special, enjoy the most amazing food cooked right before your eyes in the Curradine Cantina. Set in the charming courtyard, you can treat your guests to wood-fired pizzas, mouth-watering barbecue or spectacular street food in this picturesque setting. For an added bit of fun, make full use of the Currabooth and capture all those memorable moments with your loved ones. What’s more, it’s completely free of charge! Galloping Gourmet at Curradine Barns will serve up some of the best wedding food you’ll ever taste, presented to perfection. They’ll also look after your special day as if it were their own, providing you with as much help and support as you need at any time in the wedding planning process. 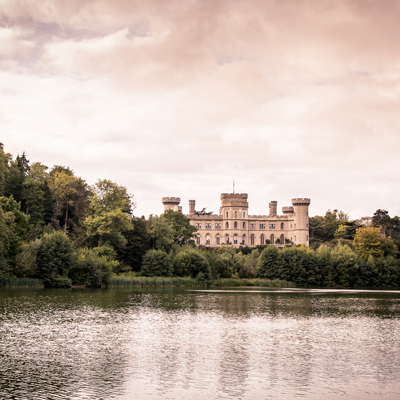 At the end of your celebrations, you’ll be able to retire to the luxurious Honeymoon Suite onsite and enjoy the lavish en-suite facilities, four-poster bed and stunning garden views. The Farmhouse is also available to hire for up to 20 of your close friends and family. The glorious country kitchen is the heart of the nine-bedroomed Farmhouse, and the place you’ll all enjoy breakfast together the morning after your big day celebrations. Curradine Barns currently have an amazing offer where you can save 25% on all remaining wedding dates in 2019 AND 25% off the Galloping Gourmet fine food packages too! * Offer not available to previously confirmed bookings or transfers of date. Food discount applied before VAT.